Is the Flipped Classroom the Future of Education? In 2006, two chemistry teachers in rural Colorado got tired of reteaching lessons to students who had been absent. So Jonathan Bergmann and Aaron Sams began recording their lectures and handing absentees a DVD or an Internet link upon their return; it would be up to the students to take themselves through the lessons and catch up. Soon, students were clamoring to watch the videos before tests. Science teachers across the country started showing the videos in their own classes, and parents were tuning in to relearn stoichiometry right along with their kids. In 2007, the teaching duo decided to flip the typical classroom learning experience on its head: They prerecorded all their lessons and assigned them as homework. Students came to school with content knowledge, ready to get to work. Free from having to spend 30 minutes of in-class time lecturing, Bergmann and Sams could spend all their face-to-face time helping students complete the practice problems that used to be homework. If students had trouble balancing equations or forgot how to calculate the number of moles in a solution, their teacher was right there to help. 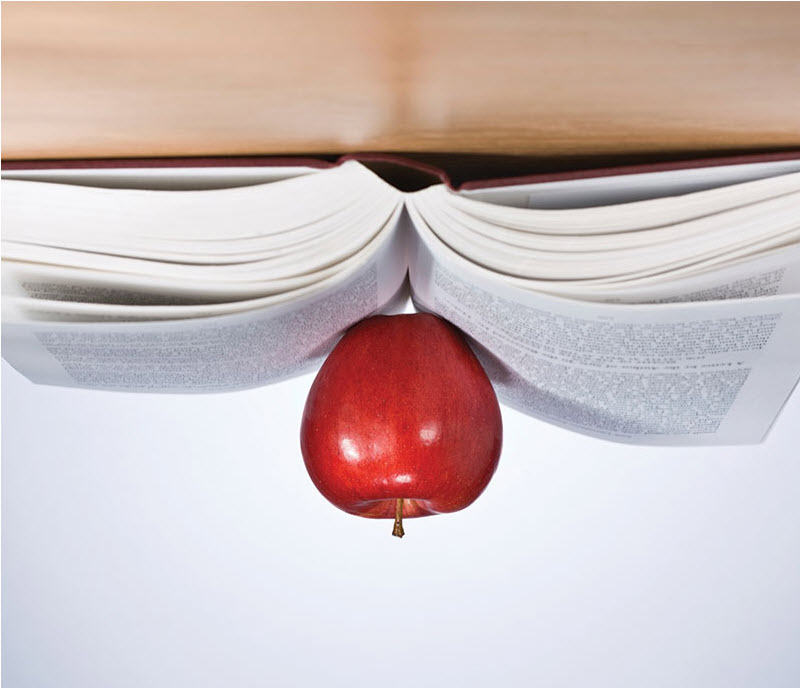 The role of the teacher flipped from lecturer to guide. The role of the student flipped from passive notetaker to active participant. And the role of technology went from facilitating the flip to spreading it. As the flip trend spreads to schools and districts around the country, benefits to the classroom keep racking up. Some were expected, such as how a struggling student is able to pause, rewind, and watch their teacher’s recorded lesson again, learning concepts at their own pace. Some benefits were unanticipated, such as the fact that parents can have a real window into the classroom. Most importantly, a flipped classroom allows teachers to redefine what happens during class time. Redefined classroom time looks different across different grade levels and subject matter. Humanities teachers can use that time to facilitate discussions, mock trials and analysis of primary source material. History teachers finally have the time to assist students with research projects. Science students do more lab work. Language arts teachers can engage students in project-based learning. Math teachers might implement peer instruction. And all teachers finally have time to work with their students in smaller groups and one-on-one settings. The flipped model is not simply “sending kids to watch videos without rethinking about what actually happens in the class,” Bergmann notes. The hallmark of good teaching is still about relationships with students. Because instructional videos watched at home allow teachers to redefine class time, educators are better able to personalize learning and tailor it to each student. A flipped classroom allows teachers to redefine what happens during class time. One master of the flipped classroom is Randy Brown, a third-grade teacher in Monroe. Brown talks about flipping the way sports commentators talk about highlight reels — like every point needs an exclamation mark or two. He remembers the cold, rainy night he sat outside Safeway and watched an instructional video on his phone. So Brown figured out how to create videos, and there have been “two” of him ever since. Instead of assigning the videos as homework, Brown divides his class into centers, so some students can watch an instructional videos as others are working. Brown’s strategy of creating learning centers in the classroom has also been embraced by many secondary-school teachers as a way to conquer the digital divide (the reality that some students do not have access to technology at home) and the fact that many students simply don’t do homework, even if it’s watching a supercool teacher demonstrate how to solve quadratic equations. High school teachers are reconfiguring the rows of desks to create a technology space where students can watch videos; a quiet space for students to complete practice problems or written work; and a collaborative space for student discussions or project-based learning. Bergmann and Sams did this in their classes as well. If a student didn’t turn in their notes from the previous night’s video, then they watched the lectures during class time and completed the work as homework just like students have traditionally done. Naturally, this type of learning requires students to have consistent access to technology. Many schools in the Seattle area are moving to a 1:1 (one-to-one) goal of having one device for every student to use in the class and at home. Technology levies in many districts have included 1:1 goals. The Kent School District will distribute more than 11,000 laptops to secondary-school students this year. The Bellevue and Lake Washington districts are piloting similar programs. The Mercer Island and Bethel school districts are in the implementation phase of their 1:1 iPad rollouts. Melissa Munson-Merritt, a teacher currently serving as innovation technology specialist for the Bethel district, was one of the 67 teachers who piloted the iPad program last year. Munson-Merritt spoke about how she also uses the devices to have digital conferences with students. “In the traditional sense, conferencing with each of them individually is impossible,” she admits. By using Google Docs to flip those conversations, students can read her comments or listen to her audio feedback outside of class, making for more productive conversations when they return to school. Jennifer Bonner, also a pilot teacher with the Bethel district, reports not only an increase in student creativity, but also a higher turn-in rate for assignments and projects. “To get that flip, I really utilized Canvas,” she said, referring to the online platform for presenting content that many colleges use for course work. Bonner would put resources, video links, study guides and practice quizzes on Canvas, which provided a place where students could access materials if they were absent or wanted extra practice to prepare for tests. Not only does technology allow for more creativity and accountability, but perhaps the biggest benefit of using technology to flip the classroom is that the kids who need the most help get the most help. A flipped classroom makes learning rewindable. Munson-Merritt’s students have her audio comments captured right next to their papers. Bonner’s students have access to practice quizzes and online resources. Bergmann’s and Sams’ students could finally pause and rewind their chemistry teachers, stopping to carefully copy formulas or listen one more time to an explanation. Flipped learning is also a beneficial time-saver for students at the other end of the spectrum. Those who understand concepts quickly no longer need to sit in class, bored to death, as a teacher provides example after example of something they understood the first time around. Some strapped-for-time high schoolers even reported listening to the lecture in double time. [Brown] is an ardent advocate for flipped learning not only because it provides the personalized learning that is good for students, but also because it’s made him a better, happier teacher. Any parent who has tried to figure out what a “math mountain” is knows that helping your second-grader with homework is no easy task anymore — unless your child is in a flipped classroom. Then, you and your child can watch his teacher explain these crazy math expressions and learn together. “If you are a parent and all of the sudden you have access to instructional video, it just opens the world up for you to parent your kid better,” Brown says. At the secondary-school level, it is a lot easier for parents to coax their teenagers into watching videos than to complete a set of challenging math problems. And, of course, that is the whole point of the flipped classroom: The easy part of the learning (receiving content) is done at home where little support is needed. The hard part of learning (doing the work) is saved for school. Flipped learning is happening in classes from Granite Falls to Vancouver, but there is not a list of “flipped schools” in the Seattle area. Nationally, 96 percent of teachers recognize the term “flipped learning,” and 78 percent of teachers have flipped at least one lesson. Teachers work together and draw inspiration from each other, so once one teacher successfully flips, all his or her teaching buddies are more likely to follow suit. “All the third-grade teachers in my building use my math videos, which I think is really cool,” Brown says. Several other teachers throughout his district use them as well, and many more teachers have been inspired to create their own. “In the next 10 years, some form of what I’m doing will be the norm,” Brown predicts. Or at least he hopes. He is an ardent advocate for flipped learning not only because it provides the personalized learning that is good for students, but also because it’s made him a better, happier teacher.